• Complete dynamic functionality and interesting modules. • Customized design as per school theme. • Team of creative and technical expertise. 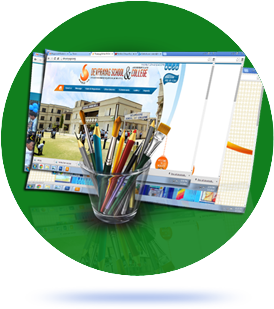 • Team Members to maintain and update website instantly. • 24X7 support to parents and school management. • Hosting on dedicated servers and 100% security on contents. Instant Updation on the Dynamic Website.